Home / Free Guest Week! 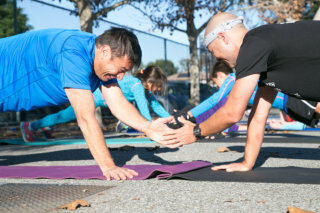 ENJOY ONE WEEK FREE AT LIFESPORT FITNESS BOOT CAMP IN SAN JOSE! ….Having a COMMUNITY and ACCOUNTABILITY can supercharge your results! One of the qualities we’re known for is our personalized attention. We want to make sure we know who will be attending the week of 3/12 so that we can be prepared for you and personalize your experience.